Universal Robots from RARUK Automation are already well-known for their ability to work safely, side-by-side, with humans. 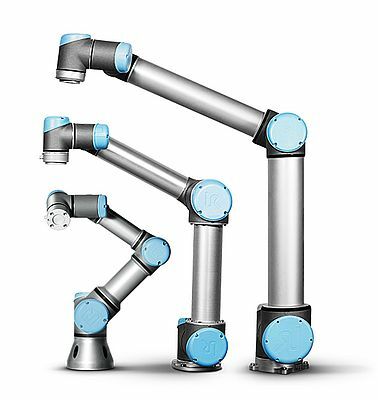 Now these robotic arms have just been certified for collaborative applications in cleanroom environments too. The company’s UR3, UR5 and UR10 cobots have been tested and judged by TÜV SÜD to have the qualities necessary for use in cleanroom class ISO 5; the controller box is authorised for ISO 6. This quality seal creates the necessary foundation for the broad deployment of these six-axis robotic arms, without the requirement of any additional protective casings, in the manufacture of electronics, food, medical devices and pharmaceuticals as well as in life science and R&D. So as well as their user-friendliness, flexibility, precision and quick return-on-investment, the Universal Robots can now officially add low particle emission, easy-to-clean surfaces and extreme reliability to their growing list of attributes.